contact us for equipment pricing and or application. we can be reached at (269) 382-2050. Kalamazoo Industries 5C collet indexing fixture is designed to be indexed at various degrees. The 5C collect fixture can be used in various drilling, milling and grinding applications. Kalamazoo Industries 5C collet indexing fixture comes standard with a cast iron body, index plate that can be changed easily, easy to index, come standard with 24 notch index ring, precision ground spindle, and a base that’s slotted so it can be mounded to any top. 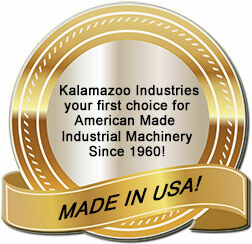 As with all Kalamazoo Industries equipment, the 5C index fixture is made in Kalamazoo USA! Contact us with your application today at (269) 382-2050. 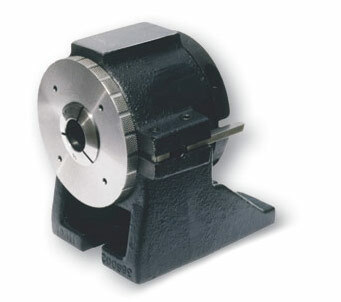 For drilling, milling, grinding and locating angles. Index ring easily changed by pulling spindle out and sliding new ring on. Use in vertical position with angle plate. Rugged, Plate can be bolted to top for drill bushing. Model : #5C complete with 24 space index ring and draw nut. Kalamazoo Industries 5C index fixture parts list. Kalamazoo Industries 5C index fixture cut sheet.